Just in time for The World Cup, Beats by Dre have launched their World Cup film starring some of the greatest footballers in the world including Neymar Jr., Daniel Sturridge, Mario Goetze, Cesc Fabregas, Luis Suarez, Chicharito and Robin Van Persie, with cameos from Serena Williams, Lil Wayne, Nicki Minaj, Lebron James, Rio Ferdinand and Thierry Henry. 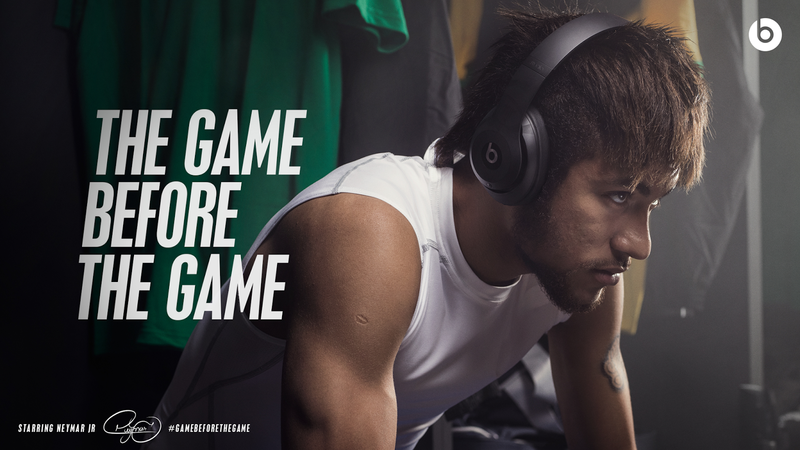 The film ‘#GameBeforeTheGame’ features the new Beats' Solo2 headphones and can be watched further below. There is a game that starts before the kick-off, before the tip-off, before the face off; a mental game. It awaits every top athlete in the dressing room. It is a game of conquering doubt and embracing the pressure. It is during this game that they find their true strength, the power to win. They find it in prayer, in ritual, and in music. It’s a game that few people have ever seen…until now. The Game Before The Game spotlights the pre-game rituals of footballers, celebrities and fans as they prepare to be victorious in the game to come; Neymar Jr. calls his rather for words of strength, wisdom and confidence, Cesc Fabregas kisses the ring his girlfriend gave him four times exactly and Luis Suarez kisses the tattoo of his son and daughter's names on his wrist for love and good luck. The campaign also celebrates pre-game rituals from fans around the world. Beats will roll out several short form versions of this campaign with a series of television commercials in more than 9 countries and 5 different languages - each version highlighting the athletes and rituals that are authentic to the country in which it airs. Check out the exciting new campaign from the Beats by Dre camp.